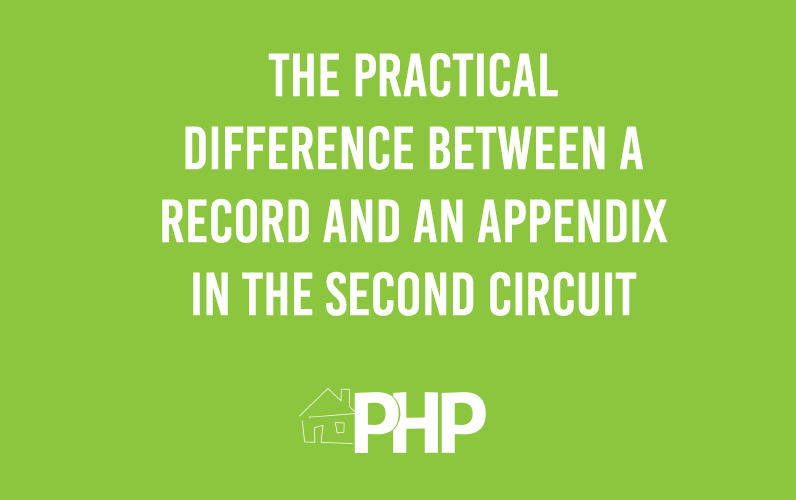 All appeals are perfected using the “Appendix method” in the Second Circuit. The complete Record of the proceedings from the District Court is automatically transferred electronically once the Appellant files the notice of appeal. The Second Circuit is relying on the Appellant to put together an Appendix containing the documents directly related to the appeal, and that all parties will need to reference when preparing their respective briefs. The practice of preparing the Appendix in this manner is referred to as a “Joint Appendix.” However, and most recently, the clerk’s office has accepted separate Appendices filed by the Appellant and Appellee(s) on an individual basis. If the parties cannot agree on the index of documents that are to be included in the Joint Appendix, the Appellant will file an Appendix with their opening brief and the Appellee(s) will file a Supplemental Appendix (by right) with their answering brief.